Whenever a company recalls a product on a large scale, lawsuits are sure to follow. General Mills’ recall of 1.8 million boxes of supposedly gluten-free Cheerios that could have possibly contained wheat is no different: two shoppers have filed a lawsuit against the food giant, claiming the company sold a misbranded product. In a proposed class-action lawsuit [PDF] filed in California against General Mills and the manufacturing manager at the plant that accidentally introduced wheat-containing flour into gluten-free Cheerios, the plaintiffs accuse the company of “deceptive, unfair and false advertising and merchandising practices” that caused customers to buy items they would have avoided, as well as putting their health at risk. “By labeling products ‘Gluten Free’ Defendants created the misimpression that their products do not contain gluten and are therefore safe for those persons who may be sensitive to gluten to eat,” the complaint reads. The lawsuit mentions shoppers with gluten sensitivities specifically, but seeks to represent any customers who bought the mislabeled boxes, and isn’t limited to just those who got sick from eating the wheaty cereal. 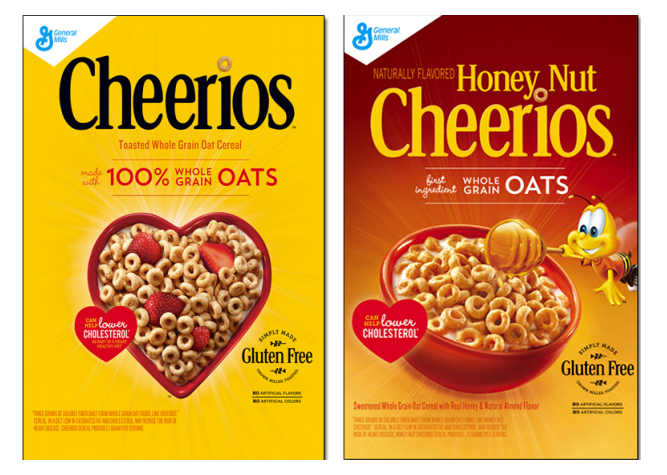 The plaintiffs want the company to claim responsibility for notifying consumers about the “true nature of the ‘Gluten Free’ Cheerios,” to avoid further deceptive labeling, and to surrender profits made from selling the improperly-labeled cereal. Shoppers also want their money back, and an undecided amount for penalties and damages. In early October, General Mills said that “an isolated incident resulted in wheat flour being inadvertently introduced into the gluten-free oat flour system” at the facility. “We sincerely apologize to the gluten-free community and to anyone who may have been impacted,” he said.